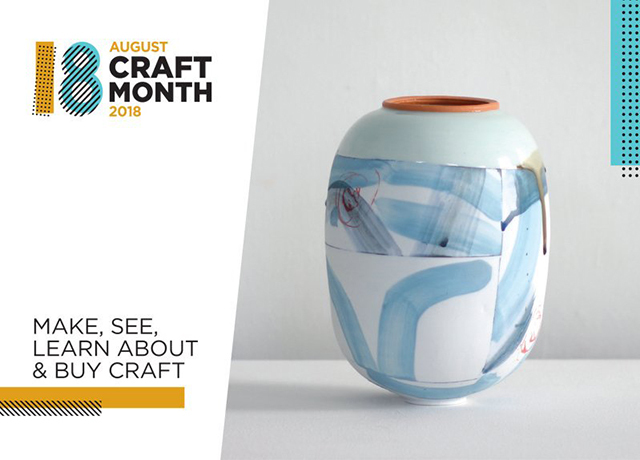 Northern Ireland has been buzzing with workshops, exhibitions, studio opening, insightful talks and much more as part of August Craft Month. As the month-long celebration draws to a close, make sure to get involved at the stand-out events that are continuing to thrive. Across all pockets of Northern Ireland, over 100 hands-on and intimate events have been well attended as they showcase the excellence, diversity and exceptional wealth of craft talent on its doorstep. August Craft Month, enabled by CRAFT NI and supported by the Arts Council of Northern Ireland through National Lottery funding, has been providing opportunities for the public to make, see, learn about and buy craft. The month-long celebration, now in its 12th year, has reflected the blossoming interest in and commitment to the talented artists, designers and makers in Northern Ireland. Thrifty Threads Exhibition; Carrickfergus Museum, until 1st September: Featuring quilts from the Carrickfergus Museum collection, as well as the Ulster Folk and Transport Museum, this colourful exhibition celebrates the traditional art of Ulster quilt-making. Glitched Exhibition; Randalstown, until 31st August: Glitched is an exhibition by artist Mairead McCormack, exploring the Old Bleach Linen factory in Randalstown - its impact, influence and forgotten tales. Puffin Gallery Exhibition ‘10x10’; Ballycastle, until 31st August: More than 40 established and emerging artists have responded to the 10x10 or 10x10x10 challenge. Sculptures, paintings, ceramics, glass, textiles, jewellery and more are all part of this very unique show. Artists at the Mill, Conway Mill Belfast, until 31st August: Artists at the Mill is a collaborative exhibition in the old Drying Room of the former flax spinning site. The exhibiting artists have drawn upon the linen history of the mill as inspiration for their work. Flax Field; Belfast until 31st August: This exhibition by Josephine McCormick comprises of paintings, prints and cyanotypes of the landscape of flax and the creative industry of Linen. Working in partnership with the Flax Mill Textiles at Dungiven, McCormick has produced a visual celebration of linen as the fabric of Ireland. Weaving Workshop; Belfast 30th August: Explore weaving with Textile Artist Cecilia Stephens. Participants will learn to weave on a simple frame loom using Linen, thread, paper, rag and in combination with other materials. Meet the Makers at Made in Mourne; Kilkeel, until 31st August: For the month of August Made in Mourne will be featuring its makers. Pop in and hear their story and learn more about how they make their products. Knit and Natter; Saintfield, until 31st August: At Knit and Natter in Saintfield Library throughout August you can learn to knit from scratch, improve your skills or teach others what you know. From novice to expert, everybody is welcome! Bring needles and any surplus wool you have and join this friendly group who also make items to sell at local sales for charity fundraising.